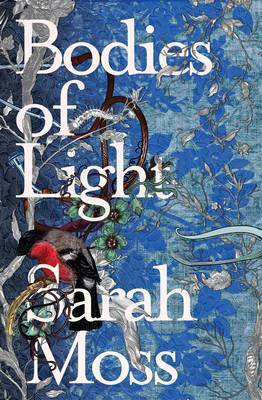 I’ve read both Sarah Moss’s account of her year in Iceland, Names for the Sea, and her first novel, Cold Earth, but haven’t yet got around to Night Waking in which one of the characters from Bodies of Light first makes her appearance, albeit in a collection of letters found two hundred years after her death. May trained as a nurse, taking up a position on the Hebridean island of Colsay where she hoped to introduce modern midwifery practices but as readers of Moss’s new novel will discover, she was also determined to escape her mother’s puritanical demands and live life on her own terms. Set in the nineteenth century, Bodies of Light is very much about women making their way in the world and the challenges – sometimes mortal danger – that they faced. The daughter of a strictly religious, frighteningly exacting mother, Elizabeth marries Alfred, a worldly arts and crafts designer. They have a child, Alethea, whom Elizabeth is unable to love, then another, May, three years later. Intent on helping Manchester’s impoverished women – often struggling to feed their families, enduring beatings and forced to resort to prostitution – Elizabeth has neither time nor inclination for indulging her daughters. Ally tries her best to meet her mother’s impossibly demanding standards but May turns to her playful father and his friend Aubrey. Singled out at school, Ally resolves to become a doctor, facing the possibility of travelling to Canada to study, while May turns to nursing. Both daughters must find a way to deal with their mother’s inability to compromise but while Ally continues her dutiful visits to the destitute, sometimes succumbing to panic attacks – labelled hysteria by her mother – May takes a more rebellious route. Sarah Moss has an eye for striking phrases – for Elizabeth who barely saw the sea as a child ‘the ocean itself was just another grown-up story’ while ‘rage spreading like smoke through the house’ describes the insistent cry of a hungry baby perfectly – but Bodies of Light is much more about the period in which it is set than the writing, accomplished though it is. The nineteenth century was a time of enormous change and challenge for women. The 1864 Contagious Diseases Act, campaigned against in the novel by Elizabeth, allowed appalling humiliation to be imposed on any woman deemed a threat to men’s sexual health, heart-wrenchingly described by Moss. At the same time women were finally beginning to be admitted to universities – Ally is amongst the first to study medicine in London, although she must endure insults and patronising comments from male colleagues. Moss’s period detail is superb and her characterisation convincing. Elizabeth’s treatment of her children, enough to alert social services today, is the only way she knows having enjoyed no indulgence from her own mother. It’s impossible not to cheer Ally on as she grows from a fragile young woman desperate to please her draconian mother into a feminist unafraid to speak her mind. A thoroughly satisfying novel – I’ll be adding Night Waking to my list. This entry was posted in Reviews and tagged Bodies of Light, Books, Fiction, Granta Books, Sarah Moss on 16 April 2014 by Susan Osborne. I am so excited to read this – I loved Night Waking when I read it last December, and really enjoyed Names for the Sea too. It sounds as though this is quite a different book but if anything more up my street than the others. Granta were calling this Moss’ breakthrough book. Do you think it will propel her into the limelight? I’d love to think so. It’s very accessible – beautifully written but with a great narrative drive. It would sit nicely in paperback on a Waterstone’s ‘Buy one get one half price’ table. A completely new name for me and this sounds like a novel I would appreciate. Although I suspect from what you’ve said there would be times when I would be shouting out loud about the injustice of it all. You probably will, Alex, but I think you’ll like Ally and what she achieves. I thought it might be up your street, although Bodies of Light focuses more on Ally who studies to become a doctor. I think May’s nursing gets more attention in Night Waking. A tough life, indeed. This sounds like something I would enjoy. Not an author I had heard of before. It’s very different from the other two I’ve read by her, both of which were also excellent. The sign of a good writer! I really must get around to reading Night Waking. I heard such good things about it when it came out. This one sounds fascinating too. I’m looking forward to reading Night Waking. Clearly, Moss was unable to leave May behind when she finished it.